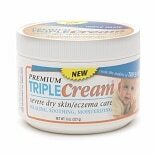 Shop Triple Cream Severe Dry Skin/ Eczema Care (8 oz. )8 oz. $1999$19 and 99 cents$2.50 / oz. Shop Mustela Stelatopia Emollient Cream (6.7 oz. )6.7 oz. $2599$25 and 99 cents$3.88 / oz. 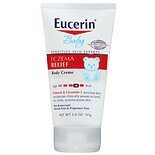 Shop Eucerin Baby Eczema Relief Body Creme Fragrance Free (5 oz. )5 oz. 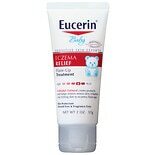 Shop Eucerin Baby Eczema Relief Flare Up Treatment Fragrance Free (2 oz. )2 oz. $899$8 and 99 cents$4.50 / oz.